…and yet WE have chosen Zardari as OUR preseident…What does that say about us….Jaisay loag …waisay leader. Hum sub khooni hain! just want to say to all my pakistani brthers wake up and come to road and through the mr. ten percent. pls don’t sleep if you sleep now then our mother land is sleep forever pls wake up. i like the original song very much. Quomi Tarana,I live in Delhi, work as a Manager and still like to Sing this Quomi Tarana. I would love to make a pakistani phone friend. I’m Rahul Sharma, age 33 and looking to connect with someone in Pakistan. I m ready to ve a hand shake and if u are interested too….my mail address is msajjad100@yahoo.com.. I m Muhammad Sajjad …..23…Islamabad….. Sad state of affair! Really sad! i personally of the opinion that whatever we do will definitely come before us. Whay donot we think to work for our country so that we all will be happy because our country will prosper. God has given everything to us and we have to work hard and get better results. Are we doing for it? To comment for anything is not good,try to make some good suggestions and stop corruption and if you succeed in doing it and making some more persons of your feelings,a day will come and you or your coming generation will feel proud. & for Rahul, who wanna make a pakistani friend…….I m ready to ve a hand shake and if u are interested too….my mail address is msajjad100@yahoo.com..
oooooooooh My God. Whatever Party Mr.President belongs to but the fact is that he is the president of pakistan.The national anthem u distorted is a great treason.plz plz dont make such kind of jokes. Already pakistan image has deteriorated and u also further defame it. Kindly dont pass such remarks if u are a real patriotic pakistani. 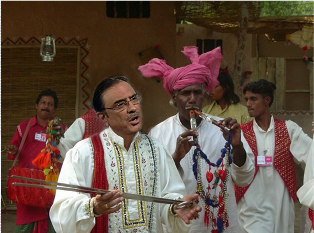 zardari ki maa ka …………………………….aagey samujh jao yar. ALLAH pak kami beshi muaf karain to yehi sach hai keh Jaisi Qaoon ho gi waisay hi Hukmaran un par musallat kar diye jain gay. Europe main jab aik police officer marta hai to sub say zayada uska Janaza hota hai uskay ehtaram main. But see what is in Pakistan. Hows the politicians are there they are the best one. A Minister is driving his / her own vehicle and coming to the office in the Morning I am not saying that there is no corruption but telling you the fact. Why today our politicians are doing all this because during elections how much they are investing anyone see that. This Khawaja Asif from Sialkot and many more what they are doing they are paying for their votes and during election they are investing like you are in your business. 50 Million appx minimum. In this election anybody knows that Khajawa Asif earn how much? He sell the tickets of M.P.As and M.N.As how you can think the people who pay to him will not do any corruption. What else they did? after that they pay to people 500 each or bicycles at that time no body think that what will happen? That time only people took money and eat Sujji or chicken and spent two days happily. Sugar, Oil, banned on jobs in Punjab area. Everyone is thinking what will happen if I will vote to PPP or PML or anyone my single vote can not do anything this is the main fact. When all of us will take rational decision then everything will be better. See in Europe, America everything is there corruption or all the things which are in Pakistan but those people simply sincere with themselves. We are just sincere with Money and Relationships if I have relation with someone I will vote him / her even they are not capable. If you will google of search on youtube you will found our parliamentarians who are not able to say few words in English this is our rational choice? Nothing will change until we will change our self. I am not saying Zardari is good but try to understand and try to vote a person who is perfect. Try to find out the things who said that I will pay all the debt of the country and then collect money from all over the Pakistan and now what nothing happen? Who went to Saudi Arabia and announced that Saudi Arabia is giving free Oil to Pakistan. Its a long story you have to google it. Then OPEC call a meeting and strictly focus on Saudi Arabia why they are doing like this. Why Petrol prices are high? Because of Nawaz Shareef but the people here supporter of Nawaz Shareef will not agree with me? Is there someone who will seriously comment instead of abusing? I agree most of your part. We have tested many times PPP’s and PML’s… They were given powers many times but they did nothing except filling their pockets with money n destroying our richest Pakistan. Everyone has a responsibility to convince people for real change n honest people. I m not very big supporter of imran khan but lets give him one chance as he got very clear policies n he can deal with western countries with confidence. Otherwise remember these politicians will lick shoes of Americans n NATO n our people will keep licking shoes of our corrupt n dis-honest politicians. There is no democracy in Pakistan, its fake n so called democracy. Its result of NRO where americans bring these all corrupt politicians into an agreement n forgave their all ill earned money n asked to do what america wants in this region n these are killer of 40,000 innocent women n childrens…lots of sad stories but remember your vote can bring change. Give vote this time very sensably. God bless Pakistan…God bless people of Pakistan. May Allah take away these firauns of today from our Country. Ameen! 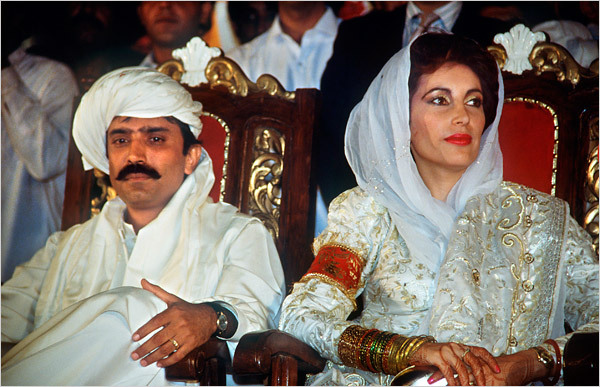 Zardari knew who killed Benazir infact he was informed ahead and was included in this. Benazir already completed her two terms as Prime Minister, so she had no chance constitutionally. Zardari is CIA as well as Rehman Malik and Army Chief, so they are working for the one who pays them, and the ones who are paying them are CIA. This is why they are not working for Pakistan and it’s people. main to kehta hoon k zardari k liay ye to kuch bhi nahi hy. bal k es sy bhi barh kr koi gaana agar ban sakta hy to wo banao aur es shaitaan ko es ki maa ka doodh yaad dila do kion k sirf es he ki wajjah sy to humara piyara mulk sara ser ghaaty mein jaa rahaa hy. jaisay k (MARR GIYA MARDOOD NA FAATIHA NA DAROOD). Comments of Asif Ali on 29-3-2011 at 7.22 am are quite intriguing! Change happens when the people get tired enough to do something about it. The leader arrives only when the people are ready. Pakistanis are not ready. Just like the Americans. I salam to your poetry.